It’s that time of year when racing teams lift up the garage door and pull off the dust over to reveal what they’ve been working on all winter. 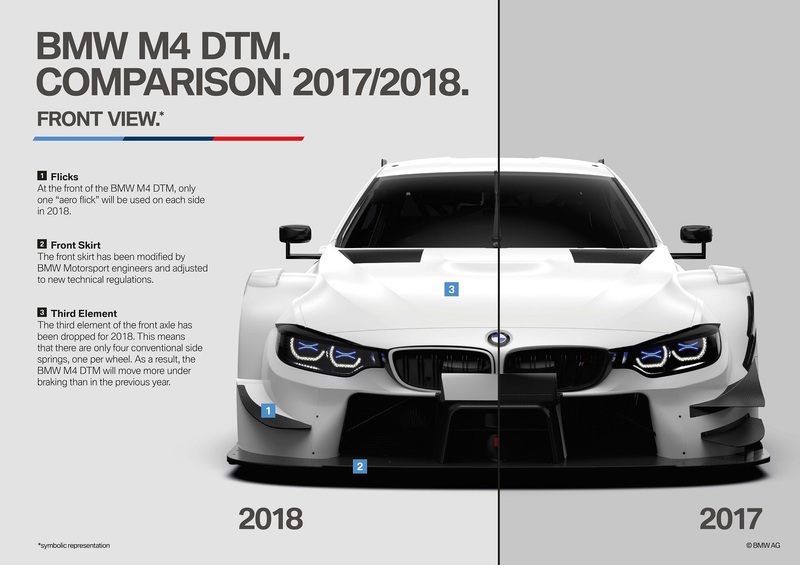 We’ve seen plenty of F1 reveals over the last few weeks and now we’re seeing some German DTM submissions. 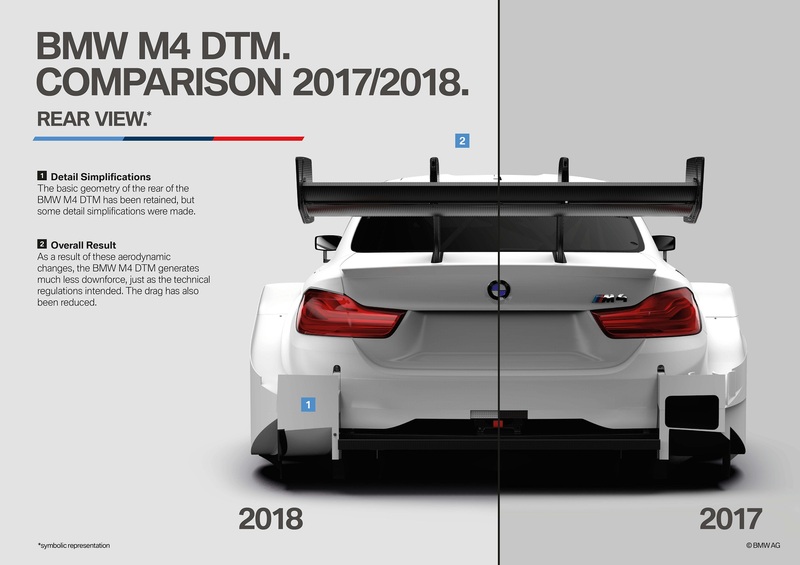 Today BMW released a slew of aerodynamic changes to its M4 DTM car. Some changes are blatantly obvious while others are a bit more subtle. At the front of the car, the team has taken away one of the “aero flicks” or canards from each side of the front bumper. The side channel has been simplified and the side plate below the doors has been taken out. The front skirt has also been modified, albeit in a subtle fashion. Under the hood, the third element of the front axle has been dropped, leaving just four conventional side springs, one per each wheel. The modifications will cut downforce by a third and will also lead to the car moving more under braking this year. That means higher top speeds and more pressure on the driver’s vehicle control abilities. 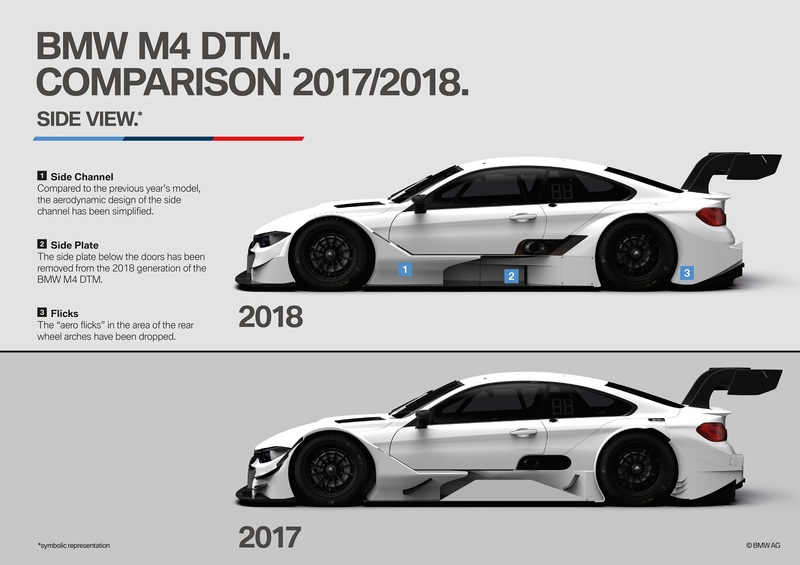 The changes are all meant to adjust to new technical regulations mandated by the DTM series this year. The upcoming season is set to kickoff May 5. Expect higher speeds and some carnage as drivers get used to the new cars. Is it tasteful? No. But that's okay.